Apples are the most varied food on the planet, with more apple varieties on record than for any other food, and Ohio has a good share of apple farms. Ohio apple growers produce up to 100 million pounds of apples. The list of apple varieties topped 7,500 the last time someone counted, including more than 2,500 varieties grown here in the United States. Each apple variety has its own unique flavor, and best uses. Whenever possible, don't peel that apple. Two-thirds of the fiber, and many of the antioxidants, are found in apple's peel. 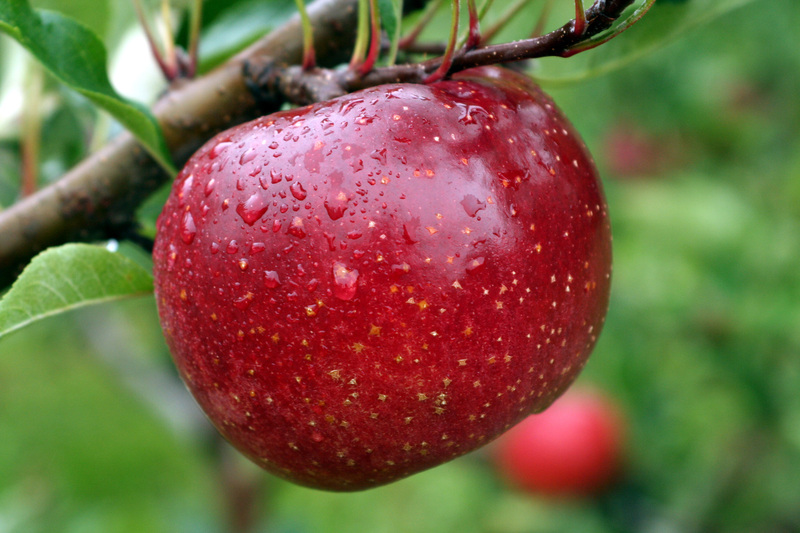 Apples are fat free, sodium free, cholersterol free and are an excellent source of fiber. If you are looking for a fun family outing this fall, consider a trip to your local apple farm. Picking apples together is something that is easy and fun to do. Plus, you only get the best apples since you picked them yourself.